The PeaceLove Collection from Philip SteinOne in four Americans lives with a diagnosable mental illnessoften in silence. Even more staggering is the fact that two thirds of all people with a mental illness wont get the much-needed help they deserve because of the stigmatization of the afflicted. Mental illness does more than just affect the lives of sufferers. It impacts friends and family and remains a misunderstood subject discussed behind closed doors. Philip Stein is on a mission to shed light on the plight of the mentally ill. The Art Dial Collection is a special collaboration in which 10 percent of every watch sale supports PeaceLove, a growing community of mental health advocates and artists creating conversations of understanding and hope. PeaceLove offers a rallying cry for acceptance and solidarity through creative programs, products, and spaces that celebrate the healing power of art and community.With every PeaceLove purchase, you share your story. You share a connection with those affected by mental illness. You share in the progress toward positive inroads against the stigma that impacts so many. World renowned artist Andre Miripolsky pushes the limits by creating his own brand of expression with a deep commitment and participation for timely social causes. Andre was honored to create this image titled Fear No Mental Illness to raise awareness and acceptance for the millions of individuals and families living with mental illness. 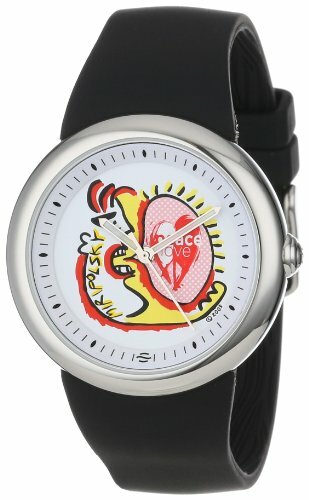 Join The Movement: 10% of every Fruitz Art Dial watch sale supports PeaceLove Studios, a growing community of mental health advocates and artists creating conversations of acceptance, understanding and hope.